Join us at the synagogue on Saturday morning, October 27, 2018, at 9:00 AM for services and then stay for the Alef Beats a cappella performance from 10:45 to 11:30 AM. We’ll end with a festive Kiddush/social time in the vestry/lower level. All are welcome. Of course, it’s Shabbat, there is no charge. We’re part of Greater Boston JArts Arts Matter Shabbat programming. More here. Coming from Brown/RISD Hillel, the Alef Beats perform for us every couple of years and it’s always great to have their musical presence and energy enliven our community. Learn more about them by clicking here. Their repertoire contains some contemporary Israeli songs in Hebrew, a Yiddish classic or two and some recent American offerings. One featured song for this visit by the Alef Beats is “There Must Be Another Way” which was the Israeli entry to the 2009 Eurovision music contest with Israeli musical artists Noa (Jewish) and Mira Awad (Muslim). The lyrics are in Hebrew, Arabic and English (English translation below the video). In 2016, Yom HaZikaron begins at sunset on Tuesday May 10th. Appropriate observances include relevant readings during services and study of Israel’s history and the sacrifices made by so many. One might light a Yahrzeit candle, recite El Maleh Rahamim and also, with a Minyan, Mourner’s Kaddish. 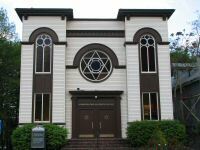 The highlighted terms above include links to www.myjewishlearning.com – a great site for information about all facets of Jewish life, religion, peoplehood, history and Israel. Here from 2015 is a poignant, personal teaching about Yom HaZikaron. The Israeli Bureau of Statistics published its annual population survey just before Rosh Hashanah last week. Read all about it here. Why? To acquire perspective and to remain informed. News from Israel comes at us “fast and furious” especially when tensions in the area rise. Basic facts can come in handy. May we see peace in Israel and around the world in our own day – and soon.